1940s Plymouth Station Wagon Photo Picture Classic Cars for sale & Classifieds - Buy Sell Classic Car & Classic Truck Classifieds. Early 50s Suburban, seen better days. Not a 49, they had those ribbed bumpers. I have a bumper from a 51 Suburban on my 53. This still has a nail guard on the door, cool. 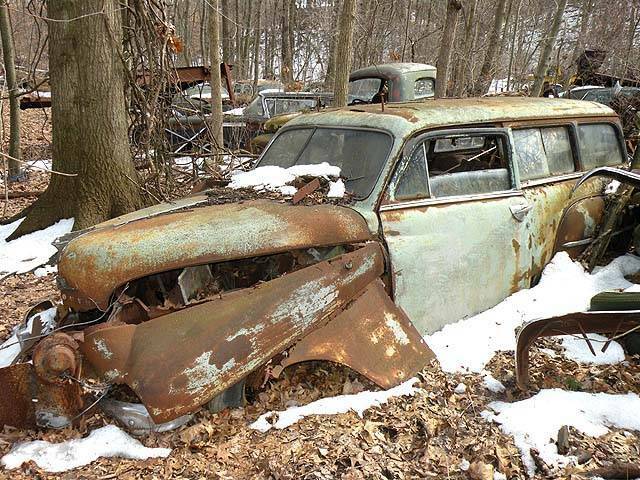 Lot of very rusty cars in this lot, gotta be east of the Mississippi.